Sony has just unveiled details of its upcoming 4.50 software update and it’s one of the most interesting ones in the PS4’s three-year lifespan. The headline feature is giving users the ability to install programs to an external hard drive. Previously the use of such drives was limited to storing media (such as songs, videos or pictures), but now you’ll be able to install games to them, meaning you’ll be able to massively increase the capacity of your PS4 without having to bother with upgrading its internal hard drive. Check out how to do exactly that with our guide on how to upgrade your PS4 hard drive. 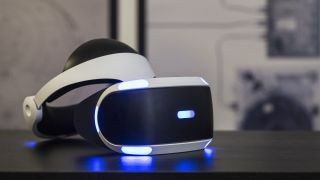 But the feature that has us most intrigued is giving the PS4 the ability to play 3D movies on the PlayStation VR headset. 3D Blu-rays were being pushed hard for studios around the same time as 3D was making its resurgence across cinema and televisions, but it never really took off. The discs are still being released, but with most major television manufacturers ceasing production of 3D sets, it’s not looking likely that the format will have a place in most living rooms for long. However, with support for 3D Blu-rays now being offered by PSVR, it has the potential to provide a new lease of life for the format if you’re now unable to find a 3D TV to support it. We’ll be sure to try out the firmware with our PlayStation VR when the firmware launches. Forget 3D Blu-ray, check out our guide to the best Ultra HD Blu-rays around.